Top 10 Pick-up Lines of the GOP Candidates. So I’ve seen this meme floating around the last couple days and it got me to thinking. 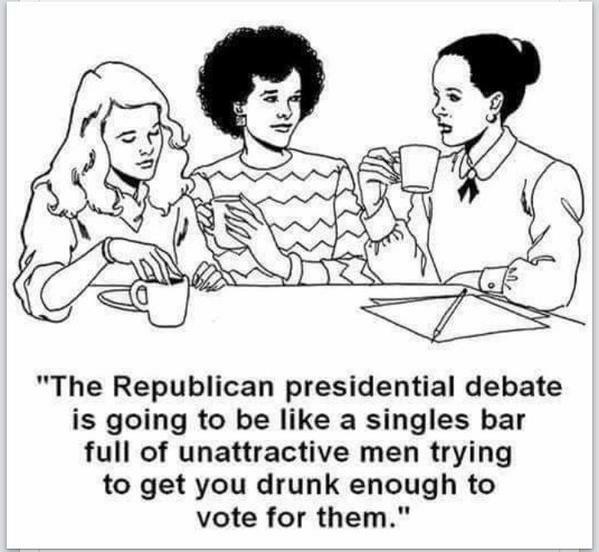 What if the Republican candidates were guys at a party trying to get you drunk enough to vote for them? I wonder what their pick up lines would be? Let’s go at this David Letterman “Top 10 List Style”. This message not approved by the Republican National Committee or any of the candidates for the Republican nomination.